When it comes to food, Shreveport-Bossier’s got it all: the Cajun and Creole traditions of South Louisiana, the slow-smoked barbecue of Texas, the soulful comforts of country cooking, and much more. Use this section to search by category for restaurants as well as other food and drink destinations including food trucks, bars, breweries, and more. Wherever your taste buds lead you in Shreveport-Bossier, be sure to share your favorite bites with the hashtag #Eat318. Food lovers should also download or view our new culinary brochure, Eat Here: A Food Lover’s Guide to Shreveport-Bossier. This brochure features tips from local food lovers, restaurant reviews, and mouth-watering photography of local food and drink. 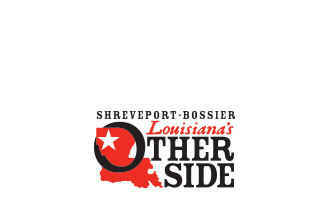 To read weekly restaurant reviews and other food-related posts, visit the official destination blog of the Shreveport-Bossier Convention and Tourist Bureau, 20x49.com. To plan your trip today, download the Official Visitor’s Guide to Shreveport-Bossier or call and request one for free at 1-800-551-8682.